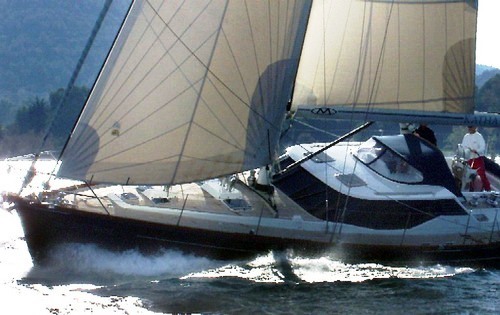 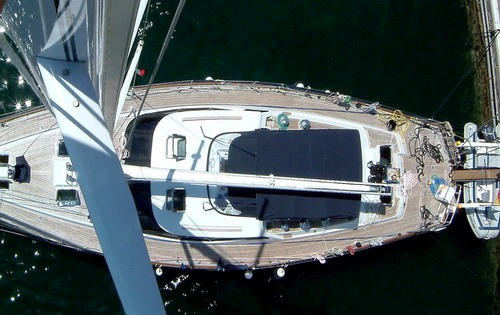 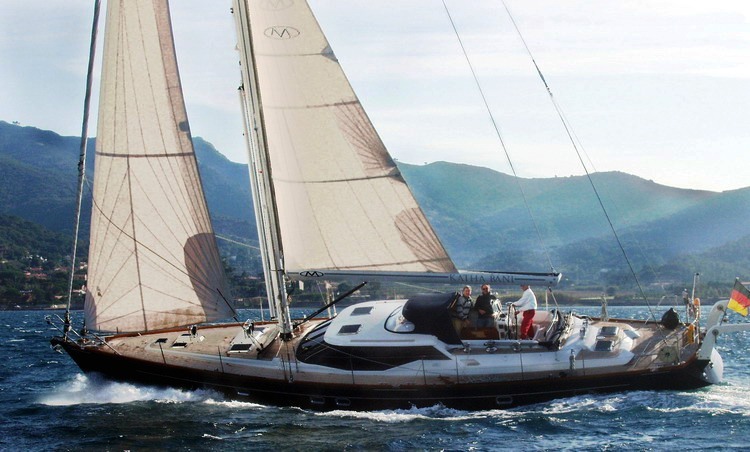 Katha Bani is a 58ft sailing yacht built by Mystic yachts in 2003. 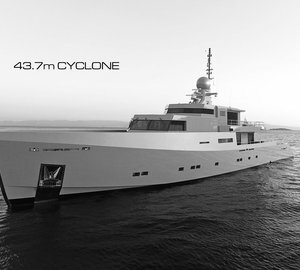 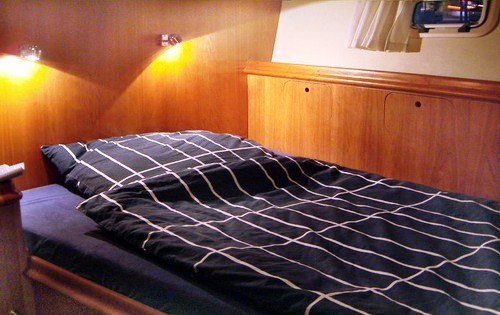 Kathi Bani can accommodate 4 guests in 2 double staterooms; the yacht is based in Cagliari, Sardinia and cruises in Italy, France and the Western Mediterranean. 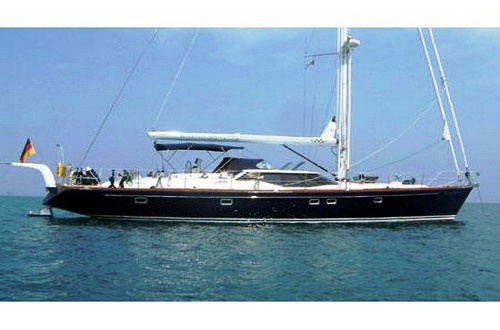 Katha BANI is a sleek yacht ideal for a family or 2 couples. 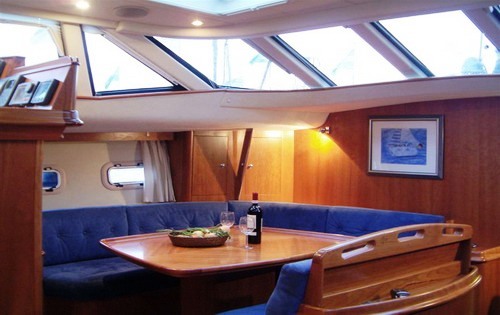 The interior is modern and bright thanks to plenty of natural light from the wrap around windows in the Salon. 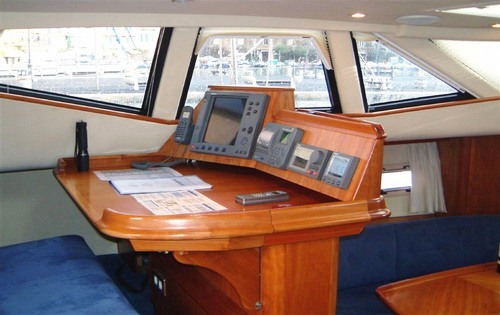 The inner cockpit area is slightly elevated enabling a great view. 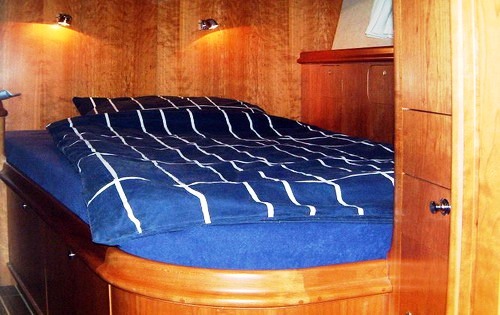 Katha Bani comes with 2 experienced crew ready to welcome you on board. 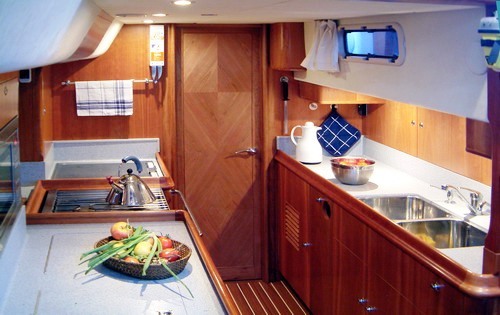 This yacht is ideal for guests who do not have a sailing qualification and like the extra comfort of having a fully equipped yacht with qualified crew to sail and cook! 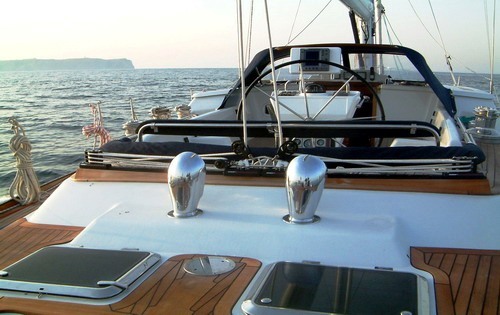 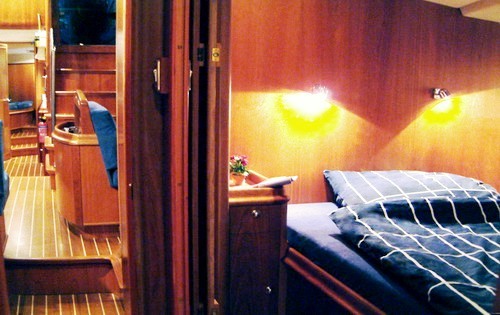 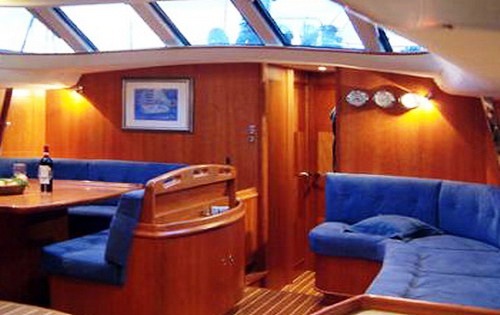 Sailing yacht Katha Bani offers accommodation for 4 guests in 2 double bed cabins with en-suite bathroom. 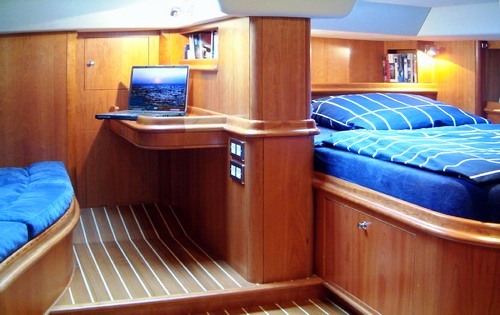 In one of the doubles there is an additional sofa bed that converts to a single bed.